Freezing winter temperatures in Casper can cause devastation in a home or business if a pipe bursts. Water that was once held nicely in metal or plastic pipes has now ventured into your home or business, soaking everything in its path. Unfortunately, this can cause quite a bit of damage. The good news is that our carpet and upholstery cleaning company in Casper has the equipment necessary to remove water to help reduce damage. 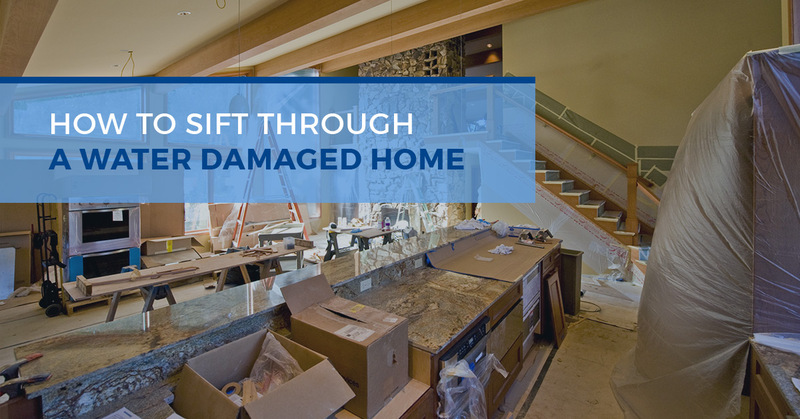 After the team has cleared your house or business of standing water, it’s time to get to work sifting through your belongings to determine what is salvageable and what must go. We hope these tips help to bring order back to your life. Water is a powerful element. Standing water can bring a plethora of problems to a home or business, so before getting too deep into cleaning, make sure your space is safe. Inspect for mold and bacteria growth, as well as for electrical connections that may be giving the water a shocking charge. Please don’t go into the water if you don’t know what may be in it. Disconnect the power to the room, and call a professional for water removal. Electronics are typically one of the first things to kick to the curb after water damage. While there are restorative companies who can fix your techy-belongings, the water most likely damaged them beyond affordable repair. Moreover, items that have mold or bacteria already growing on them should be removed or disinfected immediately. Don’t keep anything that can bring a virus later. This can also include carpet, rugs, drywall, and other room necessities. Our professionals can help you determine if your carpet is salvageable or not. Try not to hold on to too many emotional memories as you sift through your waterlogged belongings. It may be very difficult to let it go after such a rough time, but try to think with your responsible cap and throw out things that cannot be repaired or disinfected. While it may seem like you need to get rid of everything after a pipe bursts, try and find things that will still work just like they did before the water got to it. Clothing, lightly-damaged furniture, and other belongings will dry well and be ready to use again when the clean up is complete. If you’re lucky enough to catch this post before you’ve experienced water damage yourself, take this as a cautionary warning. To protect your assets, follow these tips to help protect your prized possessions from possible water damage from a broken pipe. Upload essential documents to a secure file on a computer, the Cloud, or another digital device that can be accessed from another location. Make copies of essential documents and keep them at a relative’s house for safekeeping. Insulate outdoor faucets, sprinklers, or other water sources to prevent freezing. Insulate interior pipes that run along exterior walls. Get regular plumbing inspections to identify possibly weak pipes that can be easily damaged. Learn more tips for preventing water damage.